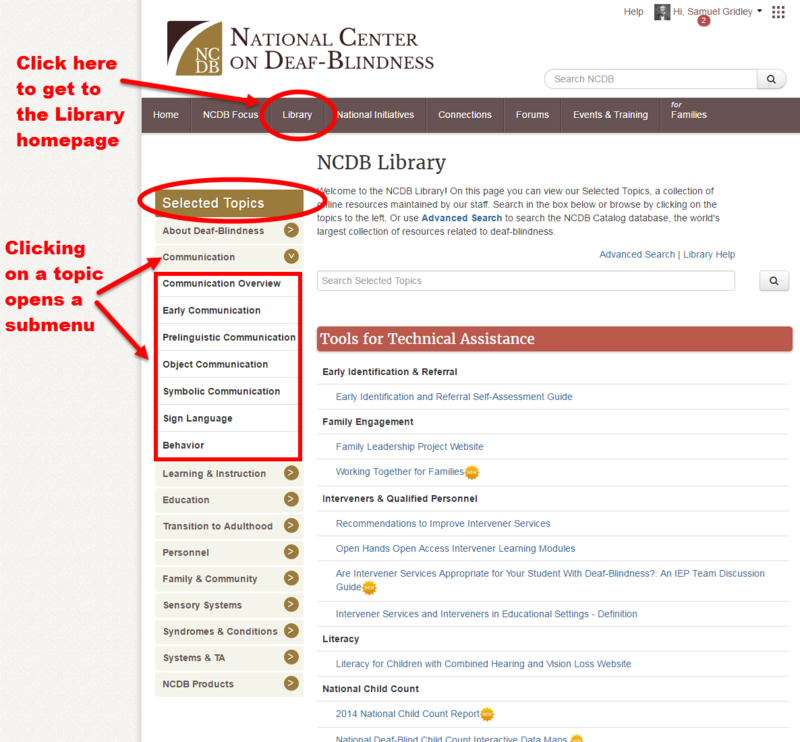 To explore our collection of free online resources, click on Library in the main navigation bar to go to the Library homepage. Once there, click on a topic in the Selected Topics menu on the left side of the page, and a list of subtopics will appear. Click on any of these to view a list of resources.